In this box you will find 3 images from a car race. A great puzzle of Senna. The always exciting start of the race and an image during the race. 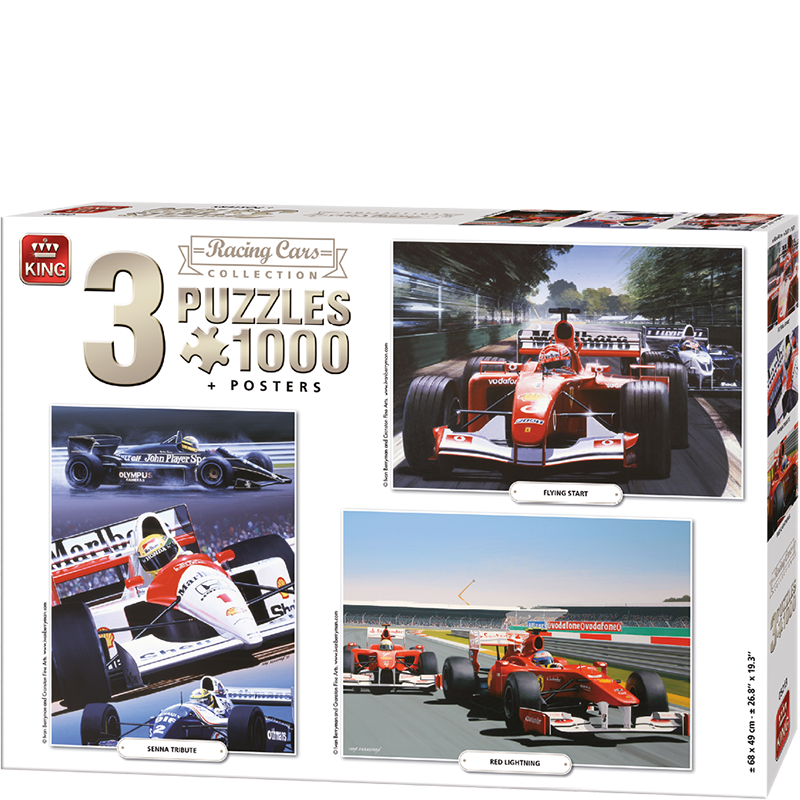 Fantastic puzzles for every car enthusiast.